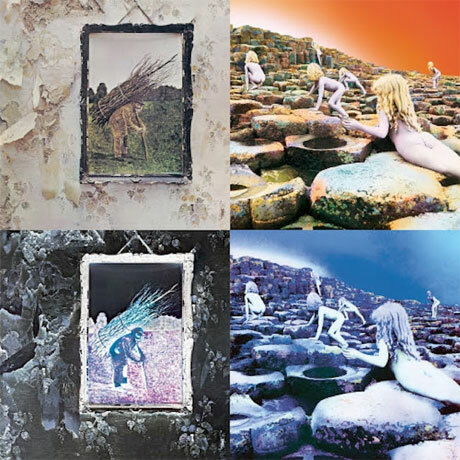 Last month, classic rock gods Led Zeppelin reissued their first three albums in expanded form. Now, they've announced the next two albums in the campaign, which will arrive on October 28 through Atlantic/Swan Song. This latest batch brings Led Zep into the '70s, as it included 1971's Led Zeppelin IV and 1973's Houses of the Holy. Like the previous reissues in the series, these albums will be available in six different formats: single CD, expanded double-CD set, single LP, double vinyl with bonus content, digital download, or lavish box set. The box set comes with both CDs, both LPs, an 80-page hardbound book and a numbered print of the album cover. See the tracklists below. As you can see, the bonus material mostly consists of alternate mixes. Yes, this includes an alternate mix of IV's classic "Stairway to Heaven." After these, Led Zeppelin still have four more albums to reissue (and that's not including live LPs or compilations).